If you've been reading this blog before then you probably know that I had a very horrible acne breakout months ago. You can read more of that story here, here, here and here. Some people often ask why I use the username RealAsianBeauty for a blog and YouTube channel that focus mostly on nail arts. That's because when I started blogging and making videos, I originally wanted to do make-up tutorials and other beauty related videos. I was really going to do it but then my face broke out! And you haven't seen a make-up guru with lots of pimples, have you? So that incident really broke my heart. Here is a photo of my face before and after the acne breakout. Left photo taken in March 2012 while the right photo was taken in October 2012. Another photo of me taken in April of 2012 when the breakout was at it's peak! I went through a LOT to clear the cystic acne on my face. I will talk about everything in this post. I was really hesistant to do this because I will be exposing my face to the public. It's not like I haven't posted enough photos of my skin with lots of pimples, right? But still I felt very hesistant. Those months, I was really really hopeless. I cried each night and I often talked to my mom, my aunts , my cousins and my friends how hopeless I felt. And I am very thankful they were there during those times because they helped me heal not physically but emotionally and mentally. So I thought someone on the other side of this computer may also be experiencing severe acne breakout and may not know what to do and how to cure it, so I just decided to go for it. I will be honest that I do not have perfect skin. Ever since I started going to college, I often get minor acne break out once a year. But it was really minor with only some zits and bumps. But this year, 2012, was different. February 2012, I remember I started noticing bumps on my jaw and ear area. The kind of bump that is hard and seem unprickable. They weren't really pimples but just big and hard bumps. I was not stressed out at that time nor did I change my diet, my beauty regimen, my beauty products or anything. It just started to happen. Then, I went to a facial center (this was a facial center I've had several treatments before), and what happened after it was unimaginable! I noticed that after that specific treatment, my pimples started growing more and they did not stop. My pimples started growing with puss. My entire face was covered with acne! :( I think it was not the facial center's fault because I had several treatments from them prior to that, but it must be the facial attendant. You see, that session was not really the best one would consider. I know, right? It's really horrible. I even feel scared and sad when I look at my past photos now. I always ask myself how I was able to live and go out of the house looking like that. But that's nothing. It will get worse later on. The photo was taken March 31, 2012. So, that's how the break out started. Now, I will talk about the products that I used and the treatments that I had that helped me cure my acne. I am the adventurous type of person. I always go for the unexplored and the untried. That's why I am also same with make-up and beauty products. During those times, I bought and tried every available product in the market but it was not a wise act because it only made things worse. I found out later that it is really best to find the perfect product for you and stick with it even if "better" products come out in the market. We start and end our day washing our face that's why the facial cleanser you choose is the key to getting rid of acne. 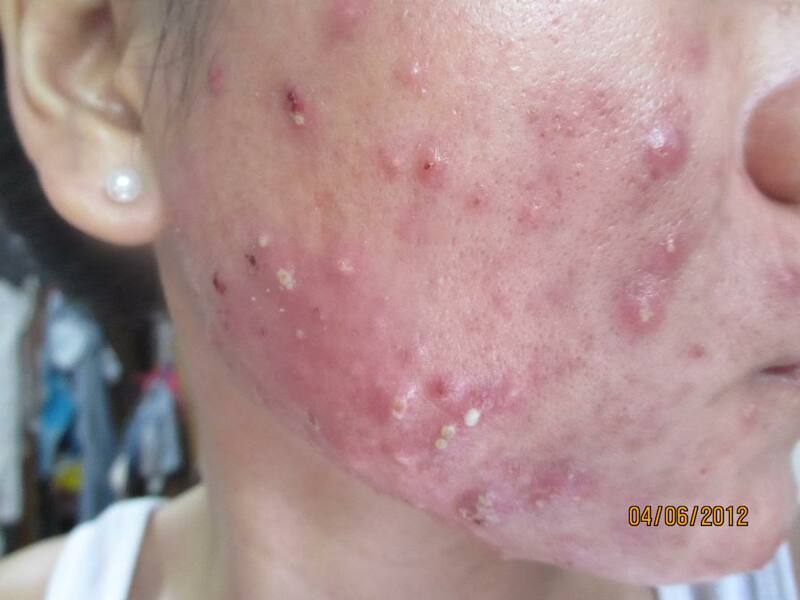 *Stay away from "anti-acne" products. Those products are supposed to heal you but I don't understand why most often than not, those products also cause your pimples to break out even more. I tried every available product in the market, nothing worked. That is because anti-acne products are too harsh. 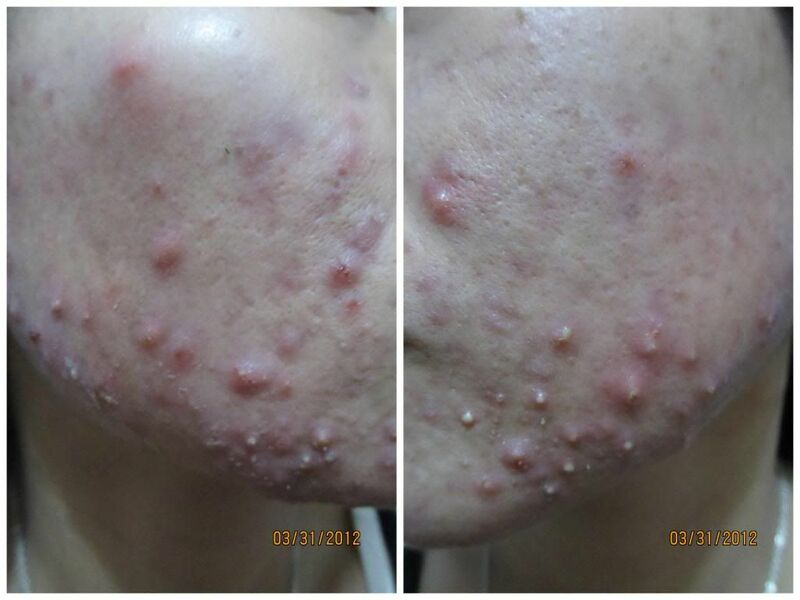 Acne when treated with marsh chemicals only gets irritated and worse. 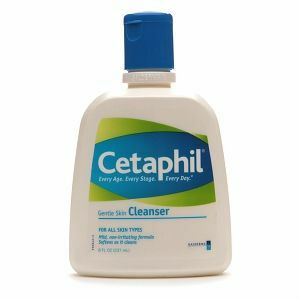 So, when it comes to gentle facial cleanser, I really recommend Cetaphil! 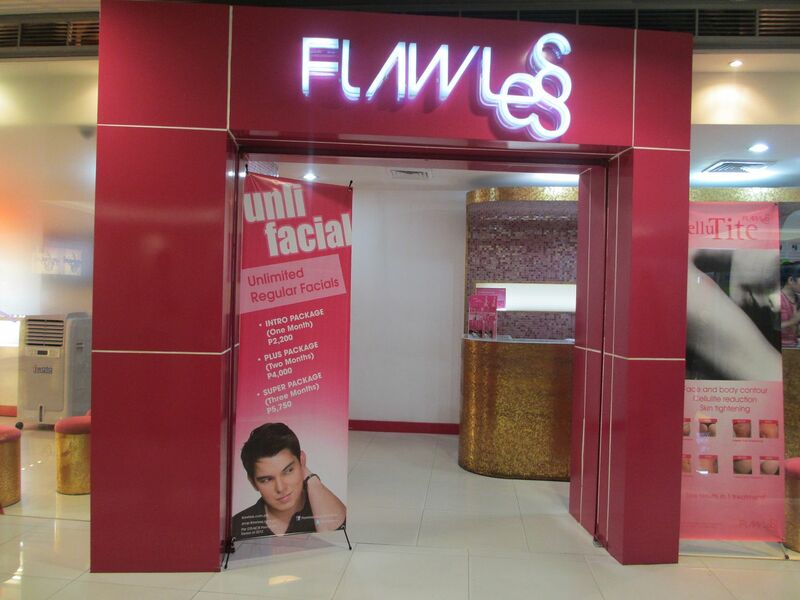 I went to Flawless to get facial treatment. I went there every 2 weeks for 6 straight months! Minor zits don't need pricking, but the breakout I had then got out of hand so I really had to go to the facial center. I went to Flawless. Their Facial Cleaning really helped cure my acne. If you see in the photo, my face was covered with puss and the only way to remove it was to actually prick each spot. It was really horrible and PAINFUL! If you've never tried facial treatment before, I am warning you because it may really be painful, depending on how high your pain tolerance is. Read more about Flawless facial treatment here. This is also a facial treatment I get at Flawless. This is a treatment celebrities often have because it treats pimples fast. You will see that the spot injected will dry up the next day after the treatment. However it is a little painful especially if you are afraid of needles. I was also under this treatment for months! Each time I went to Flawless for facial cleaning, my doctor followed it up with this treatment. The first time I had it, she injected about 30 spots on my face...which then turned to 25...then 17 and the last time I had it, she injected only 2 spots! This treatment is really effective especially if you are looking for a treatment with is fast and shows obvious effects. However, it could be a bit pricey. Each shot costs P100 or about $2-$3. It's okay if you only have 1 spot but what if the doctors needs to inject 30, like what she did to me? That's already a whooping 3,000 pesos! Read more about this treatment here. I was also prescipted by my doctor to take antibiotic to kill that germs within my body that may be causing the acne. I took 30 capsules of Tetralysal antibiotic. I took 300mg capsule. Each capsule costs P90/$2 at drugstores. 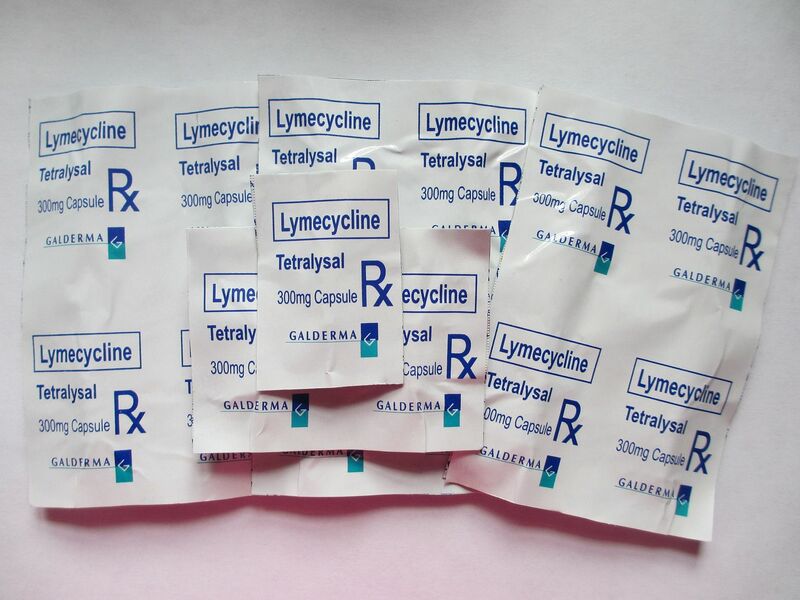 Tetralysal treats infections caused by bacteria. First, I took 15 capsules for 15 straight days. I was advised to take it with empty stomach so I took it right upon waking up in the morning. I took the next 15 capsules for 30 days because the doctor told me to take it alternately each day. I did a research and found out that too much antibiotic is not good for the body. In some instances, people had to take it for 3 or longer months before the effect kicked in. Luckily for me, it only took 30 days. I was NOT totally healed after 30 days. I just noticed that the puss and cystic acne stopped coming. After taking antibiotic, I did not see too much improvement on my skin. So, after the 30 capsules, I was prescripted by the doctor to take antiandrogen therapy pills. I took Diane 35 which is similar to Yasmin pill. I took 2 cycles of Diane 35 pill. I took it at night before going to bed. I noticed that my skin improved after the first cycle! My skin was tighter and smoother and the cystic acne finally stopped growing. I didn't care so much about the side effects because nothing was really serious. But I'm afraid I would have gotten fatter if I took it longer. I was seriously eating so much then and I noticed that I was really moody and got irritated so fast with no reasons. *I noticed that my skin really improved after taking it but please do not just take my words. Please ask your doctor before taking any medications such as antibiotic or pills. Another product that helped dry up my acne was this acne astringent from Flawless. It contains water, alcohol, salicylic acid and clindamycin. It costs P340 or about $8. I used it in the morning after washing my face and at night right before going to bed. It helped dry the pimples and lighten scars and also made my complexion lighter. My skin is really oily and I noticed that my skin was less oily and became tighter. Wether your have acne or not, water is really beneficial to our body. It flushes out toxins and replaces lost fluid. I drank a LOT of water! I drank more than 8 glasses. I used a really tall glass that holds about 2 1/2 glasses of water. I drank 8 glasses of that tall glass so I basically drank 16 or more glasses of water in a day! Drinking too much water may make you feel bloated and nauseous. 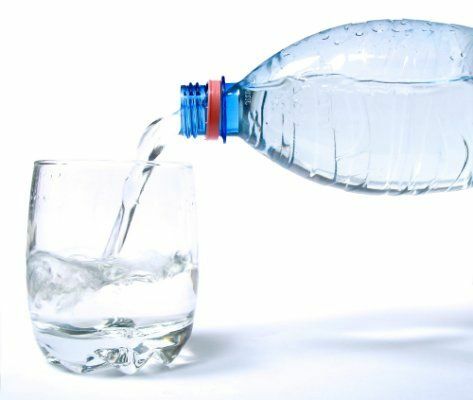 A simple trick is to drink 2 glasses of water right upon waking up in the morning and a glass of water 1 hour before each meal and another glass after eating. The rest of the amount, drink it throughout the day. When you are sleeping, you are less stressed out. Stress is one factor why pimples breakout! But anyway, if you are like me who need to stay up late, be sure that you are still getting the right amount of rest. 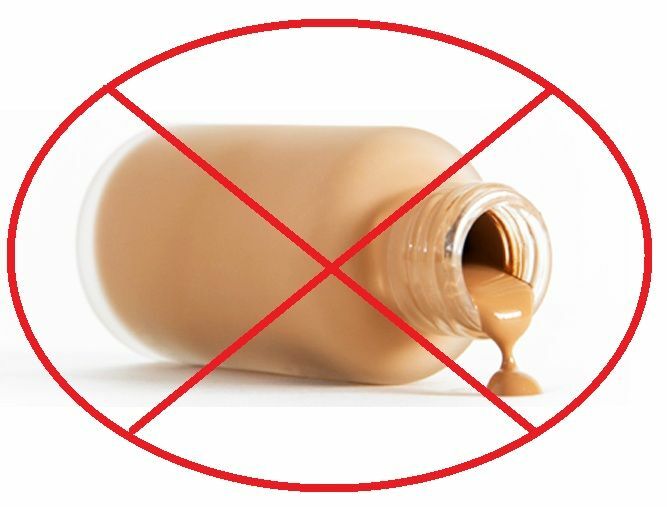 Non-comodogenic and hypo-allergenic make-up's still irritate the skin! It doesn't matter how expensive or "safe" the product is, if it gets on your acne it will still irritate it. I also had to bear going out of the house with no make-up. For 6 months or so, I went out of the house, went to the office, met my friends and went to parties with bare face. Remember, apply anything but foundation and powder to prevent further irritation to you skin. *Also, remember to keep your hair away from your face. Our hair collects dust and dirt. So if your hair gets on your pimples then it will cause them to flare out and breakout even more. if you don't have anywhere to go to then just wear a headband or tie it back. Cutting bangs or fringe is also not advisable during these times as it may irritate your acne. Remember to keep anything away from your face! Make-up, hair, pillow cases, your fingers! The final step to clearing out acne is to stick to the regimen. It means doing what your doctor told you to do, listening to your mom because as you know moms know best, and keep using the product until you get healed. Some products take longer time before showing some results. It is always a rule to use a product and stick with it for 1 week to really see the effects. Some products also break you out even more at first and then clear out acne after 2 weeks or so. The key is to find the perfect product for you. TV commercials and the Internet sometimes lure us to try new products in the market. Trust me, I did that before. But it just makes things worse. If you have finally found the right soap, cleanser, toner, sunblock etc. for you then you have to stick with it. 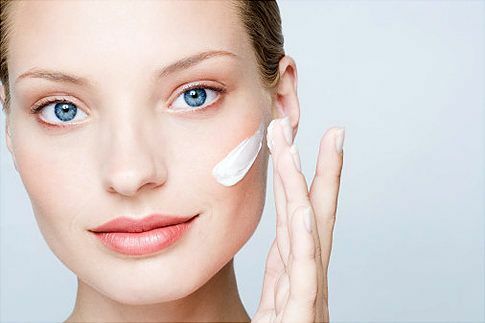 Trying another product may cause your skin to break out. I started using these products and doing these treatments and regimens in March 2012 and I still use and do every single one of them up until now. So, that's how I got the acne and how I got rid of it. It was not easy and it took some months to finally see my skin start clearing up. 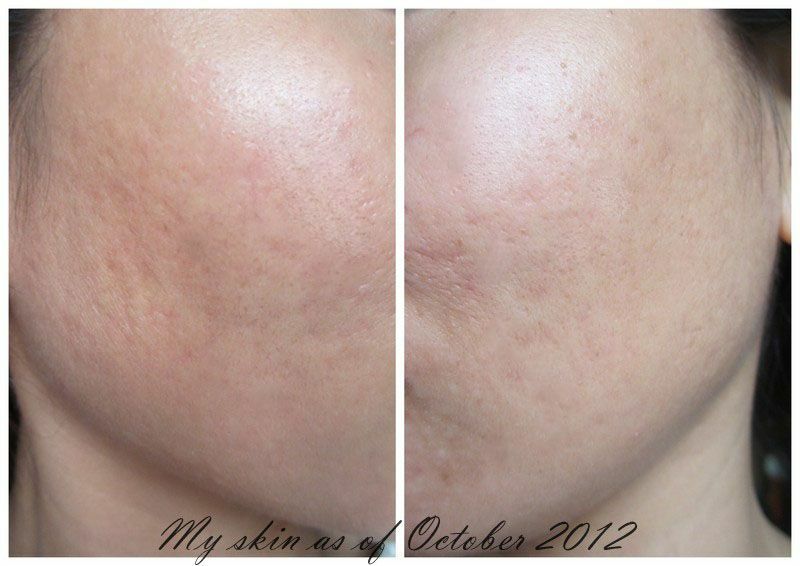 I noticed that my skin started clearing up around August-September 2012. I am very thankful that I got healed. This is my skin now..
As you see in the photo, the cystic acne is gone and it's really nice to finally see and be able to touch my face with no bumps and puss! 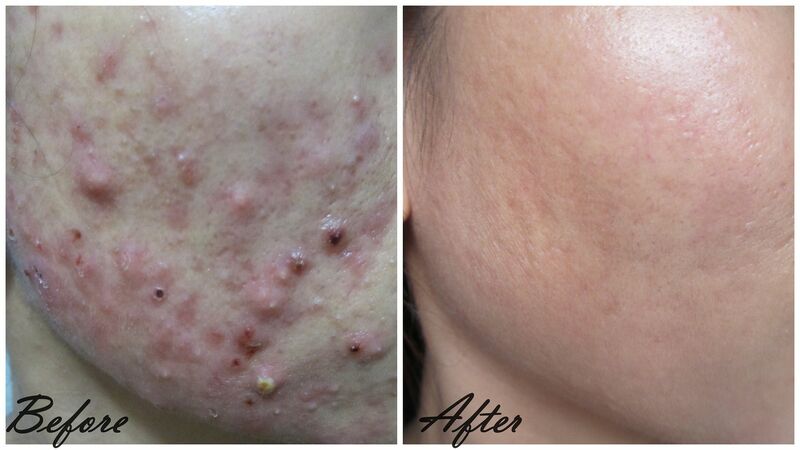 However, cystic acne leaves scars and spots on the face. I also go to Flawless to have "chemical peeling". It's a chemical treatment that lets skin to peel in a couple of days. To read more about that story, please click here. This was a LONG post but thank you for reading! If you are like me and you are experiencing acne breakout,too, I just want to say that you should never ever feel hopeless. There is really still hope. You just have to believe and be patient! Leave your comments, suggestions and questions below. I will read and respond to all of them! Disclaimer : This post was not sponsored. Every opinion was based on my own experience after using the product and trying the treatment. It took some time before my acne was healed and of course money was spent. Some of you may consider these ways as pricey. There are also cheaper and affordable ways to cure acne. Not because a product/treatment worked on me doesn't mean it will work 100% on you, too. Please consult your doctor/dermatologist before trying any of the products mentioned in this post.